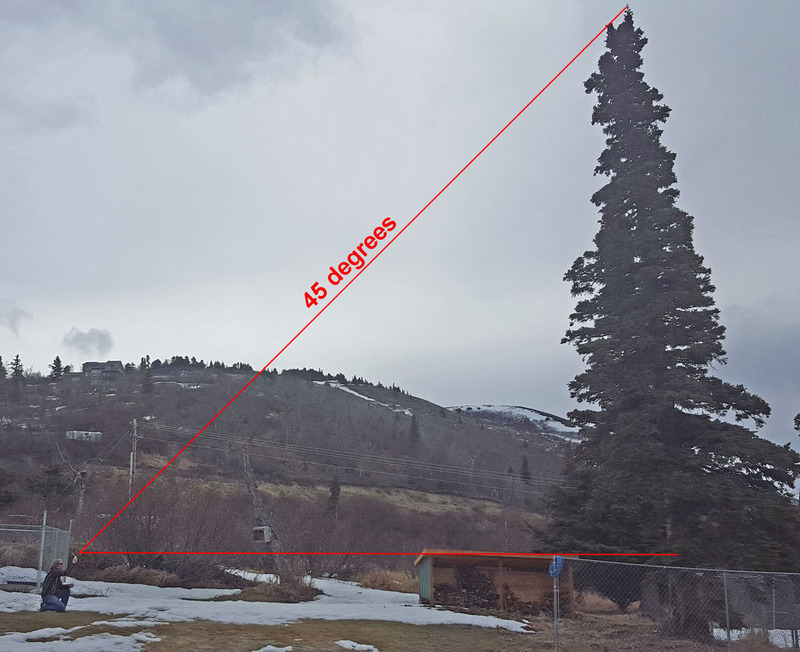 PeakPal is a backcountry height comparison and slope angle measurement iPhone camera app. Simple to use. Position the red crosshairs on your target. 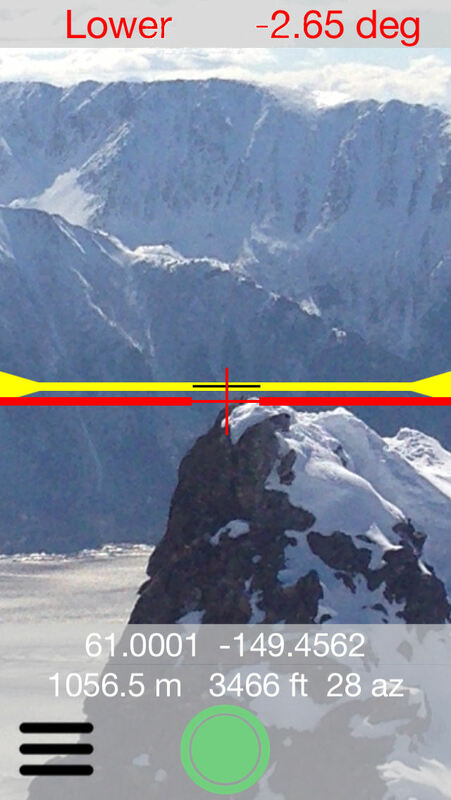 PeakPal tells you if the target is higher or lower than you (yellow line), and by how many degrees. Press the app button to take a picture. 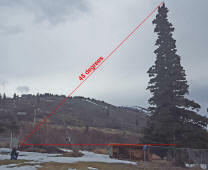 Photo is saved with PeakPal lines and GPS, elevation and compass bearing data. 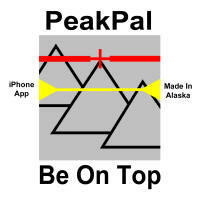 The idea for this phone app came from Alaskan peak bagging. Know if you are on the highest summit point. And be able to prove it. PeakPal ... Be On Top! 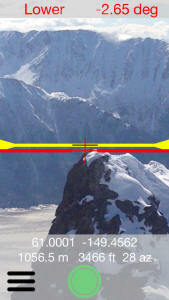 Determine if distant points are higher or lower. Zoom in for better accuracy. Compare your elevation relative to other peaks, or incoming clouds. Can be used by pilots to gauge cloud ceilings. 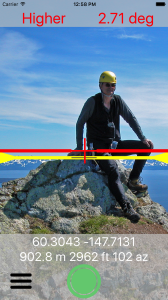 Determine the angle of trails. Helps with running or hiking decision when previewing mountain running race courses. PeakPal works in landscape mode too. PeakPal can also be used for the estimation of tree height. And especially, for estimating where a tree will fall ... so the tree doesn't hit stuff you don't want it to hit! Move to a point where PeakPal shows approximately a 45 degree angle to the top of the tree. 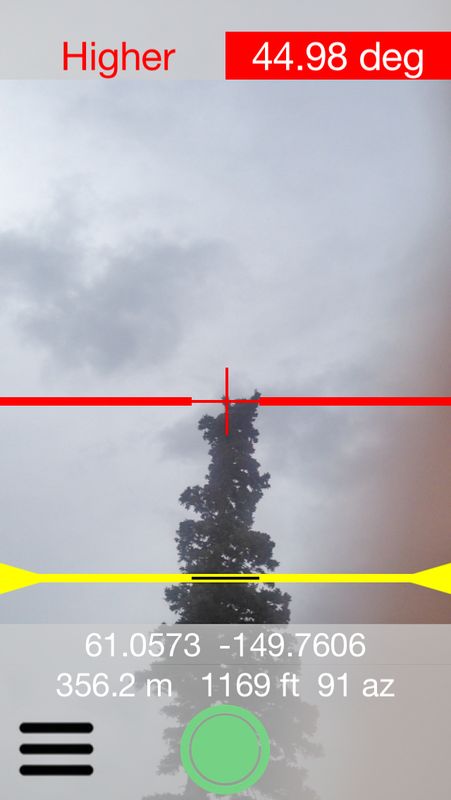 At that point, tree height will equal the distance from phone to tree plus the distance from phone to ground. Finally, PeakPal has a calibration feature. 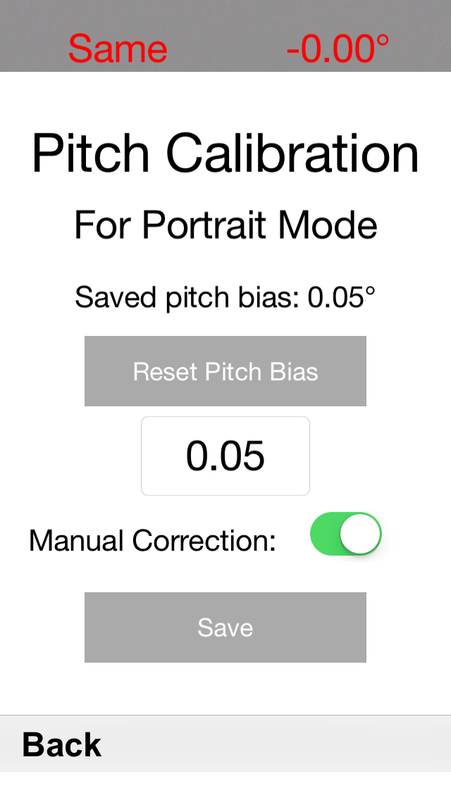 Both pitch, for portrait mode usage, and roll, for landscape mode usage, can be calibrated to a verified-level surface.